I am sure that you would agree that a home is typically an individual’s largest single asset. The question is “Do you have it working for you?” Would it be helpful financially if your mortgage was paid off? Could you use a lump sum of money to pay off credit card debt, do home repair, or travel? Would some extra money each month to pay for everyday living expenses be of help? If you said yes, then a reverse mortgage may be for you. Think of it as a special type of home equity loan that allows you to convert some of that equity into cash – without having to make monthly payments. Let me say that again, no monthly principal and interest mortgage payments while you own and occupy the home! Loan proceeds may be paid to you in a lump sum, through a line of credit, in monthly advances, and/or a combination of the these options. And check this out – since this money comes to you as a loan there is no income tax – that’s right, the money you receive is not taxable! Of course, this is not a free loan. These advances of funds and the interest that accrues create a rising debt loan that does not need to be repaid until you are no longer living in the home. Remember, you’ve made a big investment in your home over the years, maybe it’s time your home paid you back! If you can meet the minimum qualifications, then this loan may be an option for you. All borrowers on title must be at least 62 years old. Non Borrowing Spouses under the age of 62 are allowed. A Financial Assessment will be completed to review your capacity and willingness to pay your obligation. Income and asset documentation is collected. Past two years Federal Income Tax Returns may be needed. What are some of the features and benefits to you? No Monthly Principal and Interest Mortgage Payments – We Pay You! Property taxes, Insurance, HOA fees, and Maintenance are your responsibility. 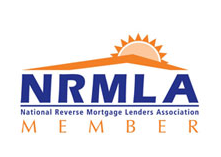 Non Recourse Loan – Can never owe (pay back) more than the home’s market value. Ask for details. What are the proceeds from the Reverse Mortgage used for? Eliminate Monthly Out of Pocket Principal and Interest Payments on Current Mortgages. Payoff other liens and bills such as car payments and credit cards. Travel, buy a car, help grandchildren in college, etc. The list goes on and on. Remember, it is your money – how will it best help you and your family? The main product in the industry today is the FHA Home Equity Conversion Mortgage (HECM) This is the government insured program. This is a rising debt loan against the property due to the fact that the borrowers never have any required monthly principal and interest payments as long as they are living in the home. You are probably asking how much can you receive from a Reverse Mortgage? Good question and the answer is different for each and every borrower based on a variety of factors. Those factors include the type of reverse mortgage product, ages of the borrowers, value of the property or housing value limit, and the expected interest rate. To find out exactly what you could receive today, just give me a call at 1-888-323-3555 or request my FREE Reverse Mortgage Information Packet . In most instances, the costs and rates of obtaining a FHA Reverse Mortgage tend to be higher than other types of loans. The charges may include origination fees, mortgage insurance, and other standard third party costs such as the appraisal, title insurance, escrow, etc. It is best to get an illustration showing the anticipated charges as they can vary based on home value, loan balance, purchase or refinance, etc. Rates vary among the type of the FHA HECM program you select but because of the mortgage insurance that is required it offers the lowest rates available compared to private Reverse Mortgages. You can choose between adjustable or fixed rate options. Well, we are just getting started in the education process and making you a more informed consumer. Take some time now to review our Frequently Asked Questions section. I know you have questions; the good thing is we have the answers. We are only a phone call or email away.